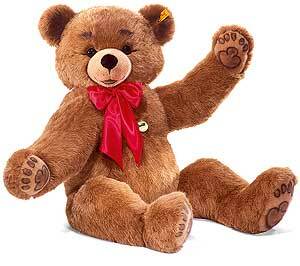 Steiff BOBBY Studio Bear, Made of cuddly soft brown woven fur, surface washable only, size 120cm. UK MAINLAND DELIVERY ONLY. CALL FOR AVAILABILITY.